I can't believe it took me this long to find Video X Player Pro in the Windows Store. I blame Microsoft - for making (what is now) 'Films & TV' good enough, and the VideoLAN folks for making VLC temptingly good. 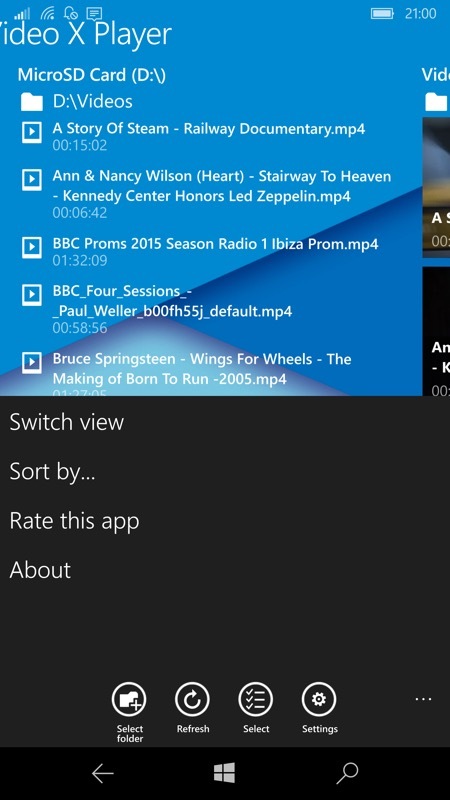 But the former has a fatal flaw and the latter is fatally buggy (in my continued testing), leading me to look at this old but still updated video solution for both Windows Phone 8.1 and Windows 10 Mobile. My use case, as I suspect with many others, is that I keep a number of faviourite movies, documentaries and music videos on my phone's microSD card, for offline playback on trains and planes and, generally, when I want to be entertained when there's no ready connectivity for the likes of YouTube and Netflix. However, quite a few of these are over an hour long (I tend to keep things in 720p format, to keep file sizes down to a Gigabyte or so at most) and so it's very useful that whatever I use for playback remembers where I got to in each file. This is something that Microsoft's built-in Films & TV fails to do, forcing me to have to hunt around each time for where I think I remember I got to - for each file, every time. Which quickly gets annoying. 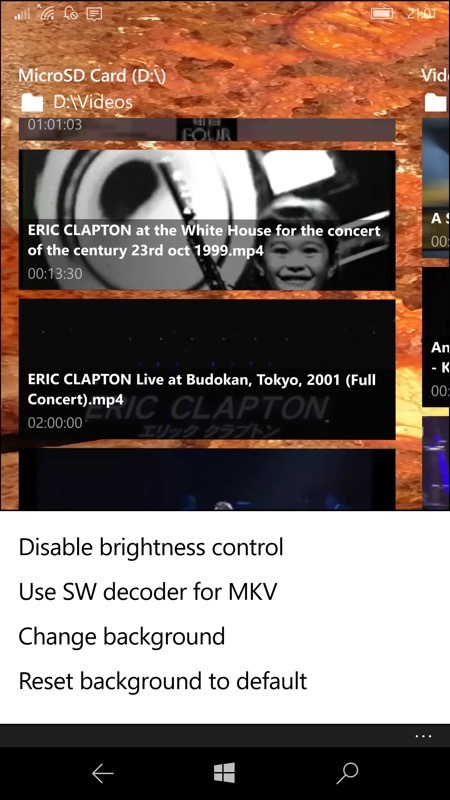 VLC is a free solution that's always worth a try on Windows Phone and Windows 10 Mobile, but for every time I've tried it, with success - and yes, it remembers playback position per video - there has been a time when it fails miserably, with perennially spinning 'loading' indicators and application crashes. In short, VLC is very ambitious but also necessarily complex and thus very buggy. Which is where the old - yet fresh - Video X Player Pro comes in. Among all the other features detailed below, it's very good at remembering playback position on all videos - see the emboldened entry in the list below. 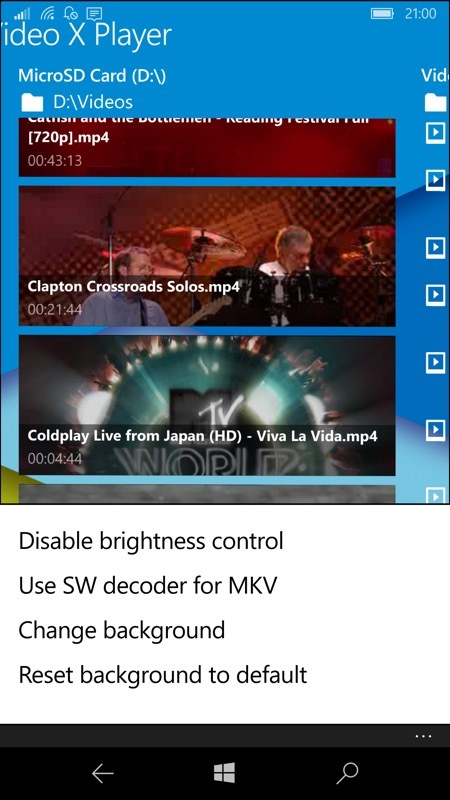 Supports all video formats supported by Windows Phone. Supports audio codecs and dual-audio. Supports subtitles: SRT, SUB, SSA, VTT + built-in MKV-subtitles! Easy to use and customizable interface in Metro style. Three customizable sections to browse your video files. You can select any folder that you want (e.g. Pictures\WhatsApp to browse WhatsApp videos or your SD card). Fullscreen playback for phones with on-screen navigation bar. Share videos just from the app! Quick navigation mode - just tap on folder name to see folders list. Always saving position, where you stopped. SD Card supported (by default it's the second section)! Software decoder for unsupported files! In short, every bell and whistle (bar one - volume enhancement, which I've suggested to the developer), all in the one Windows video player. It's true that it's a Windows Phone 8.1 application, but that shouldn't put off anyone with the newer Windows 10 Mobile - it still works a treat. There's a choice of list and thumbnail views, each with full title and duration - the stretched thumbnail system is a nice idea since it allows for long filenames in a way that 'square' thumbnails wouldn't. Note the Windows Phone 8.1 controls, but rest assured that these screens are on a modern Lumia 950 XL. On the Settings menu is an option to change the background to something custom (as here) and to disable the brightness control (I'll come to this below). 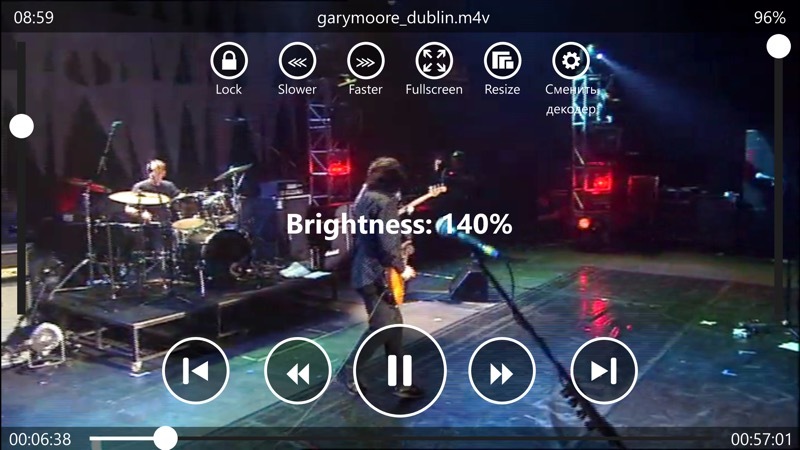 The full player interface in Video X Player Pro. Slower/Faster toggles, decreasing/increasing playback speed by 25% for each press. Might be useful, I guess - maybe a boring documentary that you wanted to get through faster? Fullscreen and Resize toggles - not needed in the example video above, but these work well to stretch small videos in low resolution or those in 4:3 mode to better fill your limited phone viewing area. As usual with such features and with the wide variety of source material, trial and error is sometimes needed! The reason for the setting to turn the brightness control off is that it's quite easy to slide your thumb on it by accident and then the video just looks wrong until you work out what you did. So, if you never see a need to use this feature then it can be disabled. The subtitle options, plus the ability to use gestures to 'zoom in' on a spot in the playing video, are the icing on the cake. There's such a lot here - it's complex, though not to the same degree as VLC, which is why this is usable and VLC usually isn't. Glitches here include the odd Cryllic text under the Settings icon above, plus the failure to pick up my videos on the very first launch - it was absolutely fine thereafter. Watch for updates in the Store. PS. Note that there's a non-'pro' version of this in the Store. It's the same application though, the developer was playing with a two tier system at one point, but it doesn't matter which one you install these days.